Inspired by remixing & reimagining of Chicago's 1893 World's Fair in 2018, the installation uses music videos as an amplification system for a future celebrating cultural diversity & expression. Featuring stacks of TVs, the piece includes screens that showcase the visuals that accompany their music, which has blossomed in the internet age. The installation is interactive by allowing the viewer to press buttons on a pedestal to collage the music videos together in real time. Installed in the Experimental Station lobby and available to you during World's Fair 2018 events and by appointment. This installation is a part of Experimental Station’s hosting four days of activity as part of The World's Fair 2018 in collaboration with #nomoneynoborders! How do you build utopia? The World’s Fair 2018 is a weeklong festival, providing a platform for utopian visions of the future. We’re remixing the history of Chicago’s 1893 World’s Columbian Expo to imagine community in a world that transcends money and borders. Click here for more information about #NoMoneyNoBorders and additional "World's Fair 2018" activities happening in the area. 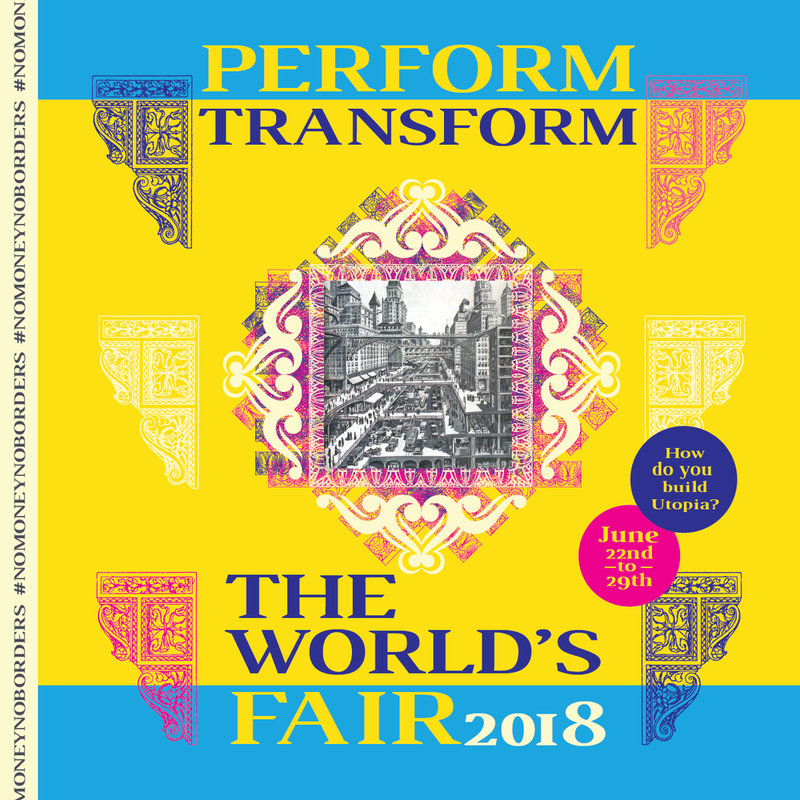 "World’s Fair 2018" Opening Night "Dream Parade"